Josh and Emily met in the Emergency Department in Kodiak Island, Alaska. He was serving as a hospital corpsman with the U.S. Navy and was accompanying an injured comrade. Emily was working as a Registered Nurse and took care of them. With the help of some great mutual friends, they eventually had their first date. Josh proposed on a weekend getaway to Fairbanks, Alaska where they spent a few days at the beautiful Chena Hot Springs. 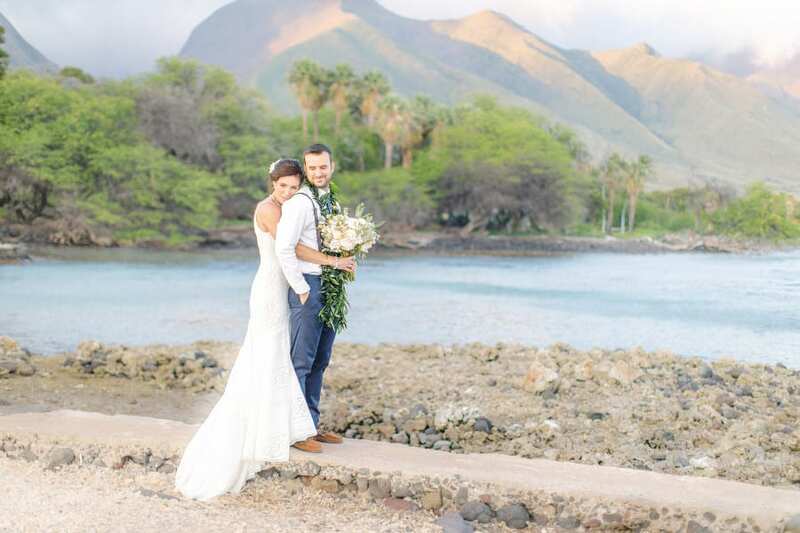 Their love story started in Alaska, but the wedding took place in Maui, Hawaii, at the Olowalu Plantation. 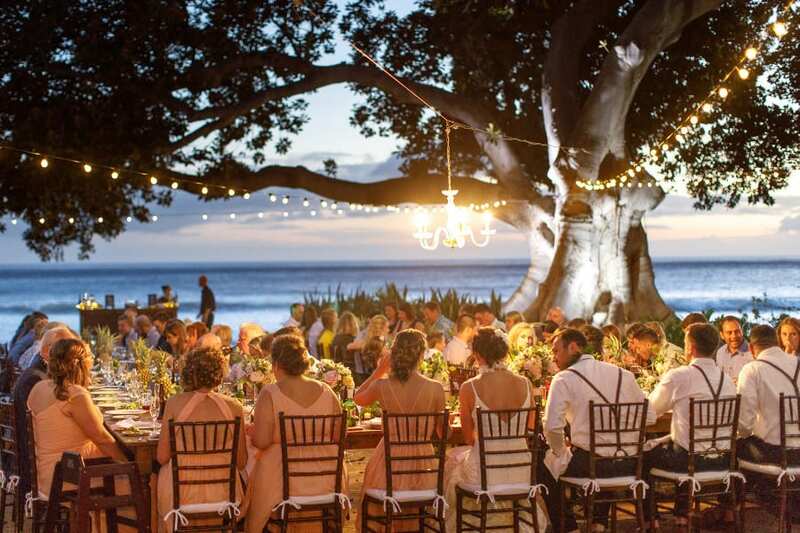 “We took our first ever trip together to Maui two years before the wedding. 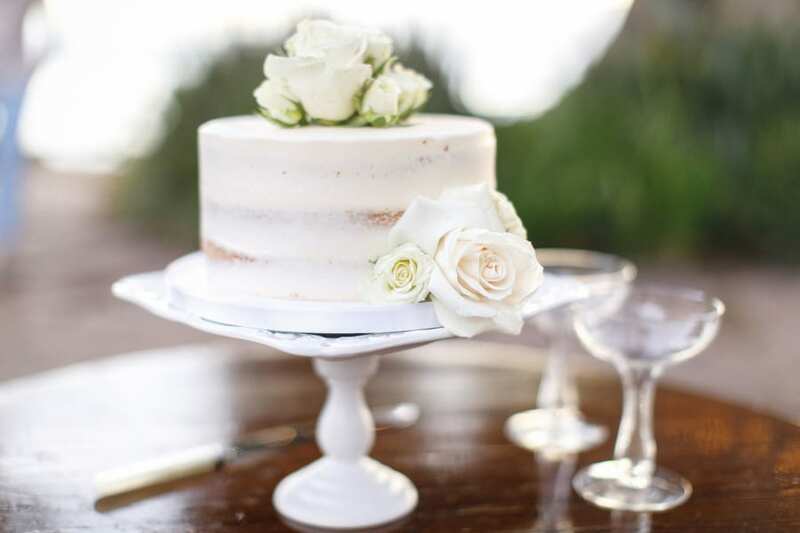 It was just so amazing that we could come back and celebrate our wedding in such a beautiful place,” Emily said. Simplicity was a critical decorating factor. 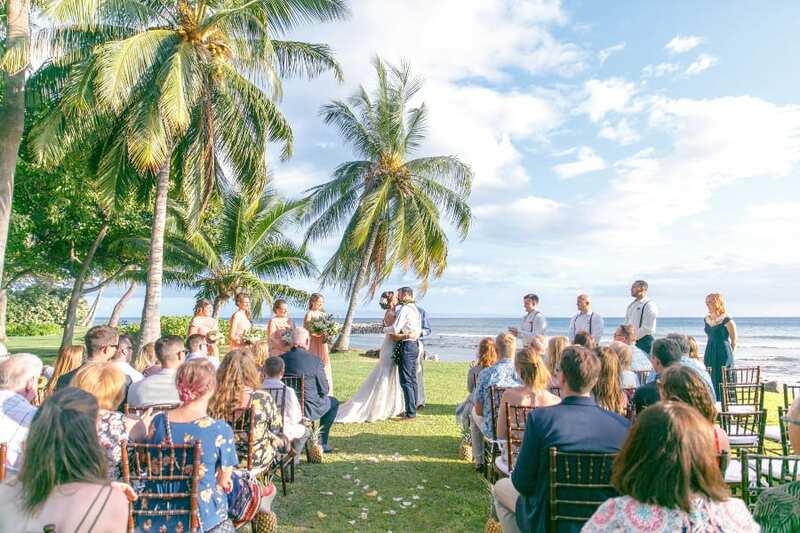 The couple wanted a touch of tropical influence, including a few pineapples, hanging lights, flowers, and lots of greenery to complement Olowalu and the plantation. Emily’s bridesmaids wore peach dresses, which worked very well with the flower choices. 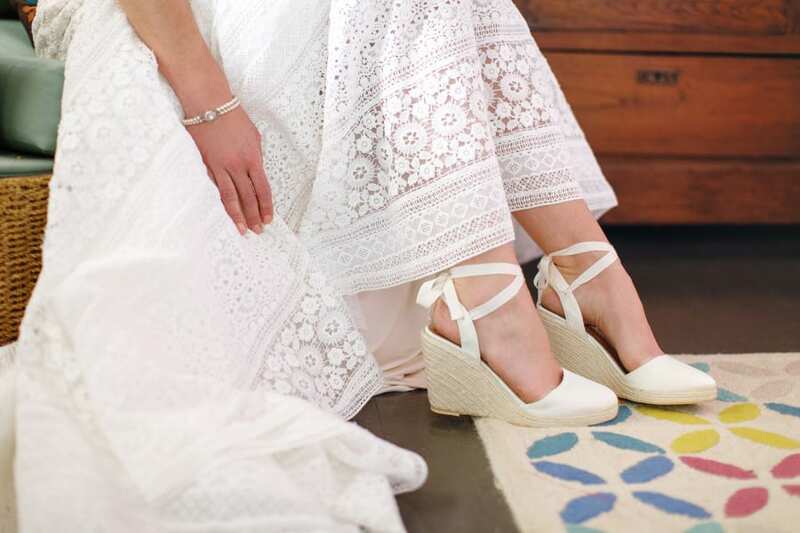 “We were looking for a mix between formal and casual. My jewelry included the pearl necklace my mother wore at her wedding, my grandmother’s clasp pearl bracelet, and new drop pearl earrings (a wedding gift from my mother). For Josh and his groomsmen he wanted dark brown and leather Sperrys, leather suspenders, and a beachy Tommy Bahama white shirt complete with classic navy pants,” Emily said.